True Business Networkers are people who connect the right people together in the world ... They are the people with a special gift for bringing honest business people together. They are people who have the knack for making business connections where ever they may be. You can use Twitter to listen and respond to customers and stakeholders - With Twitter you can influence opinions, increase organizational collaboration and create new business opportunities. Many business people have found Twitter to be more effective than LinkedIn and FaceBook in growing their professional business network. This is because on LinkedIn, you mostly list add colleagues and friends that you have already worked with in the past or know personally. With Twitter Business Networking you are free to follow anyone. So that makes Twitter a fast track online business networking tool. Twitter is a fast track social media network which currently has millions of members. All postings are limited to 140 characters with no special coding or labeling.The links are changed into smaller redirect links. It is an effective way to grow your professional business network without wasting a lot of time. You are free to follow others on Twitter that have similar or common interests. Therefore Twitter will help you find people for your business network. Twitter can put your business message in front of thousands of people instantly. If you can harness this power and use it effectively, Twitter can help you promote your brand and add depth to your online identity. Twitter Connects people around the world and helps them access information via Twitter as it happensfrom breaking world news to updates from friends. Twitter in one of the BEST ways to get noticed by people.. If you are interested in getting noticed by someone, you don't have to ask their permission. A mutual business relationship is something that may naturally develop over time. Have a question? Then just ask your Twitter followers. You are bound to get many different answers. 1. Create an account on Twitter or log in to your existng account. 2. Search for people in the industries that you want to connect with. To do this, use the search field "Find People".You can find people, organizations, or companies that have a Twitter account that you would like to follow. 3. Build your network of people you are following and followers. 4. Build your presence by not only using Twitter find and follow the right people, but also post interesting links and info you come across or want to get the word out to others. Twitter can be very serious or very fun, so make sure you use it for both. 5. Start participating by replying to questions, giving feedback about blog posts. Post mentioned articles, or even introducing yourself with a personalized direct message. By posting thoughtful replies will get noticed by the right people. "The possibilities are endless, the task is to identify and work with team players only... Don't follow just any old jerk! You can get real time data on literally ANYTHING happening in our world today and interact with millions of people LIVE. Find good content to share with others. Do not spam your link. Twitter success is dependent on your ability to share valuable content and information with your network. You can share your own videos, quotes, or blog posts or re-syndicate content that you like from other people. Its not enough to just to keep adding new friends, you must actually INTERACT with them. Use the direct message and @reply features to interact personally with your twitter friends. Social Media has reached the Tipping Point and the statistics are in... Just look around and look who is using this new means of communication, business networking and information gathering! 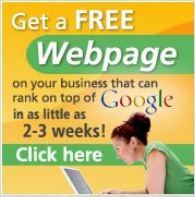 Promote and Grow Your Business with our expert >>> Affordable Internet Marketing team. and a listing on GrassRootsNetworking! As well as LOT cost Web services. Instantly create a free online editable business profile, linked on local city networks and optimized to rank high on search engines. This allows businesses to be found by customers and prospects, drives traffic to their websites, and connects them to other local businesses. SmartGuy.com is a GrassRoots Business Directory, GrassRoots Business Referral Network, and GrassRoots Referral Management System all rolled into one. It allows you to align with up to 1,200 other professionals within your area all willing to promote YOU to everyone they know. Jordan Wexler is CEO of SmartGuy.com, and has been pioneering lead generation strategies for the past 20 years. He founded online powerhouses Information Now, Inc. and MortgageLeads.com. Jordan and Mark Barreres, the CEO of WebPromotion.com and the founder of GrassRootsNetworking.com have been working together to get top searches for all the members that sign up since the launch of the site in Feb 2009. Jordan Wexler is CEO of SmartGuy.com, and has been pioneering lead generation strategies for the past 20 years. He founded online powerhouses Information Now, Inc. and MortgageLeads.com. Jordan and Mark Barreres the CEO of WebPromotion.com and ShenandoahConnection have been working together to get top searches for all the members that sign up since the launch of the site in Feb 2009. People do business and refer business to those people they know and trust. SmartGuy.com has created an online template for us to succeed in business in ANY Economy! MULTIMEDIA - We are looking for designers to help with dynamic website presentations. We have web design jobs of all sizes from small and large ready for you to work on. We collaborate with other web designers and web promoters which benefits everyone. By working together we can increase productivity and cost savings for our businesses, giving clients a valuable edge in today's marketplace. If you are a Webdesign and Development and want to be on out list contact us today. We are looking for Web Designers that do not try and sell services that clients do not need. We know that a lasting relationship is more valuable than a one-time job BIG money job. We DO not want to work with Rip Off Web Designers like Dawn Amato. Learn to become a Team Player! The Job is to connect with "Active Team Players"... follow through and keep in communication. Become part of the Creative Collective.